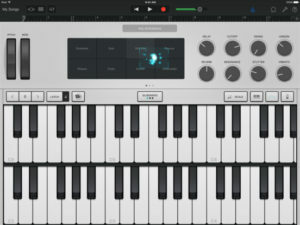 GarageBand turns your iPad, iPhone, and iPod touch into a collection of Touch Instruments and a full-featured recording studio — so you can make music anywhere you go. And with Live Loops, it makes it easy for anyone to have fun creating music like a DJ, by triggering loops and audio effects in real time. 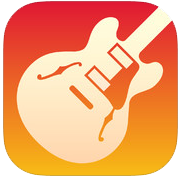 Use Multi-Touch gestures to play keyboards, guitars, and drums. Enjoy Smart Instruments that make you sound like a pro — even if you’ve never played a note before. Plug in a guitar or bass and play through classic amps and stompbox effects. Use a Touch Instrument, microphone, or a guitar and instantly record a performance with support for up of 32 tracks. Audio Unit Extensions in iOS 10 allow you to play, record and mix third-party instruments or effects right into GarageBand. And share your song using email, Facebook, YouTube, SoundCloud, or AirDrop for iOS. ** Requires compatible third-party Audio Unit Extensions apps from the App Store. *** Polyphonic aftertouch is available on iPhone 6s or later. **** 32 tracks is available on iPhone 5s or later, iPad Pro, iPad Air or later, and iPad mini 2 or later. Multitrack recording requires a compatible third-party audio interface.